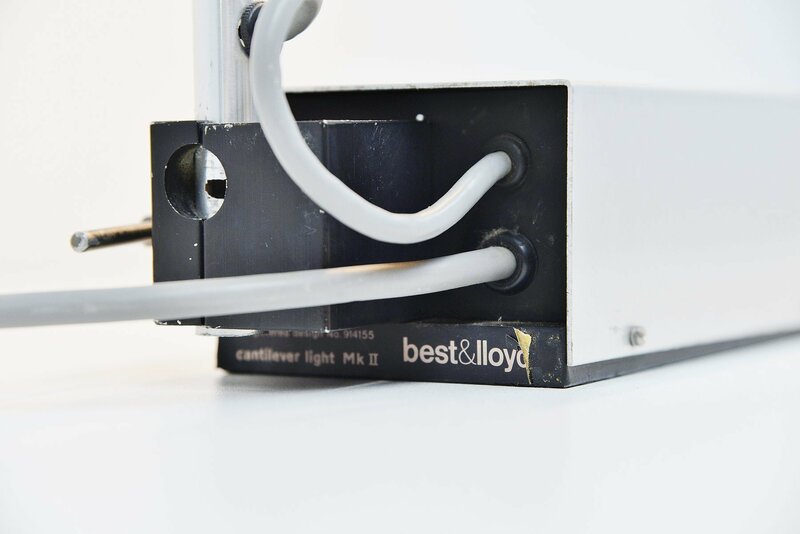 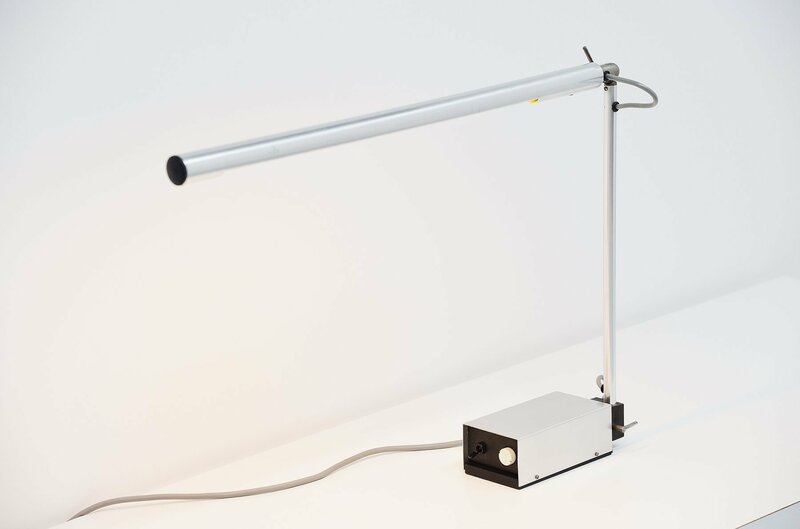 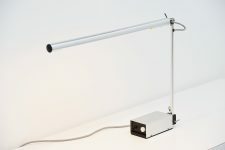 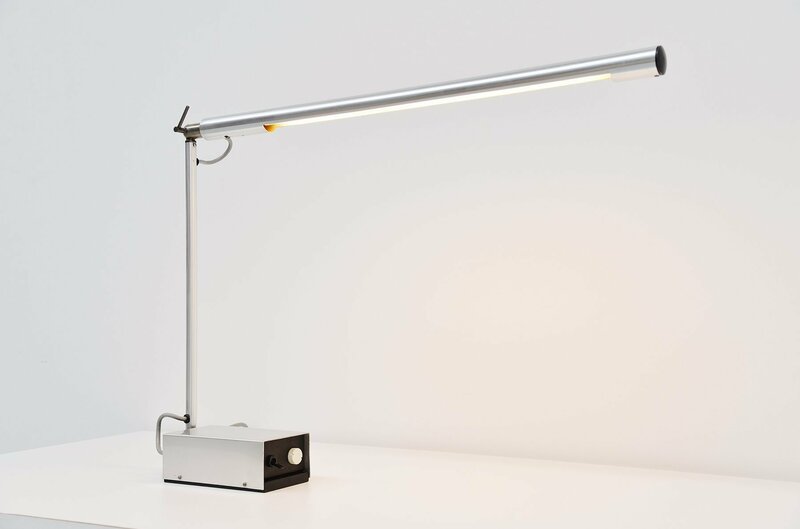 Beautiful modernist desk lamp model KMll is designed by Gerald Abramovitz for Best & Lloyd, Ltd., Birmingham United Kingdom 1961. 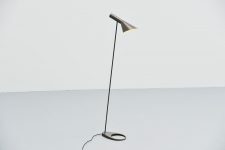 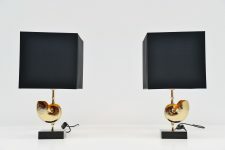 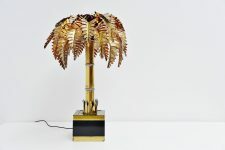 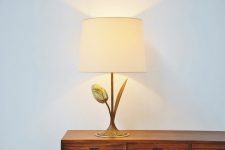 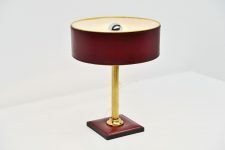 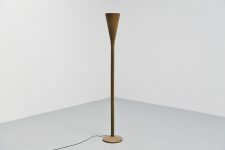 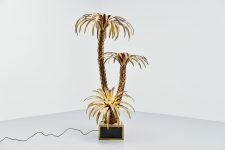 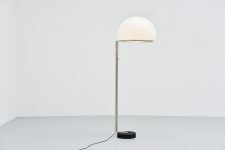 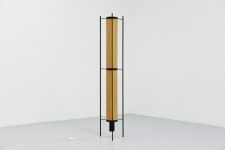 This superb made and shaped table lamp was only produced for 2 years from 1961-1963. 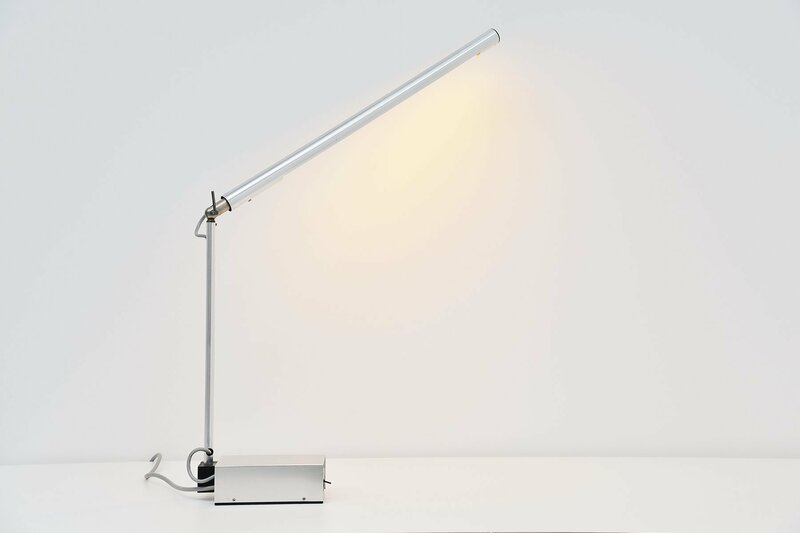 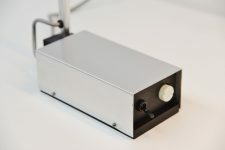 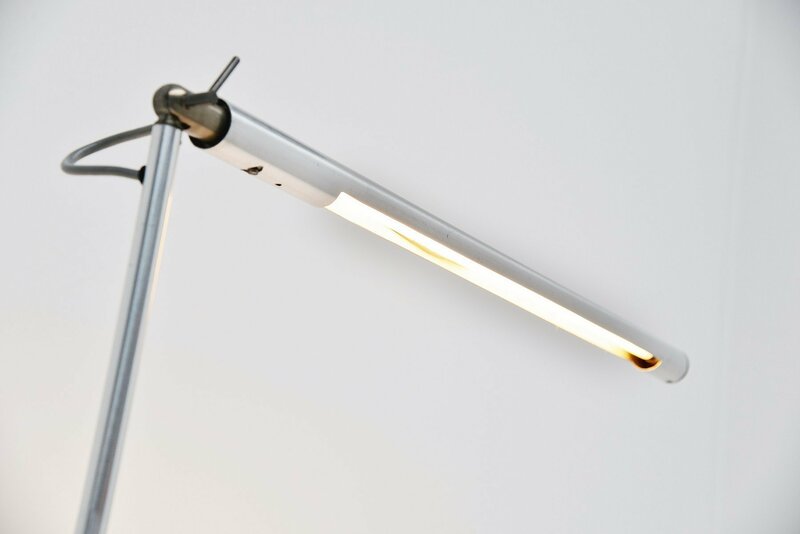 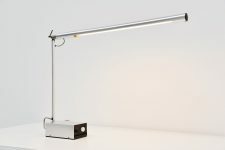 This lamp has a weighted base aluminum covered. 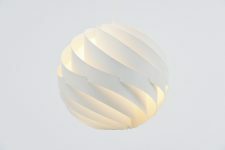 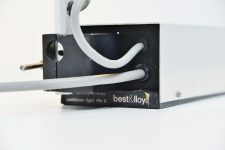 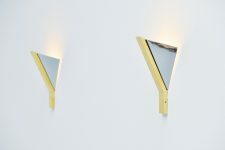 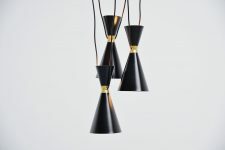 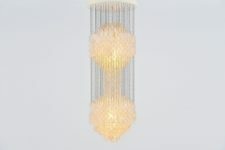 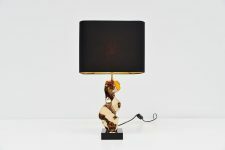 The lamp has some very nice details and is very user friendly. 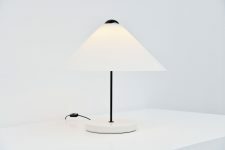 Very well thought lamp and gives very nice bright light when lit.